427 Chevy ... Just Seeing Those Legendary Numbers Brings Back Memories Of Big Block Corvettes And Camaros Ruling The Streets In The 60's and 70's. 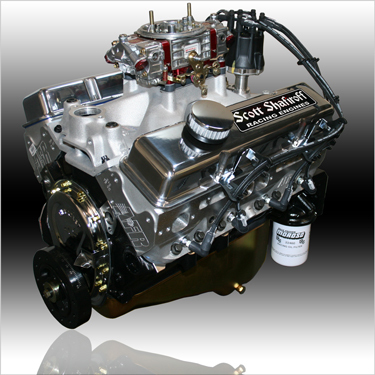 Now You Can Have That Power And Feel In A Small Block Package At An Incredible Crate Engine Price! !